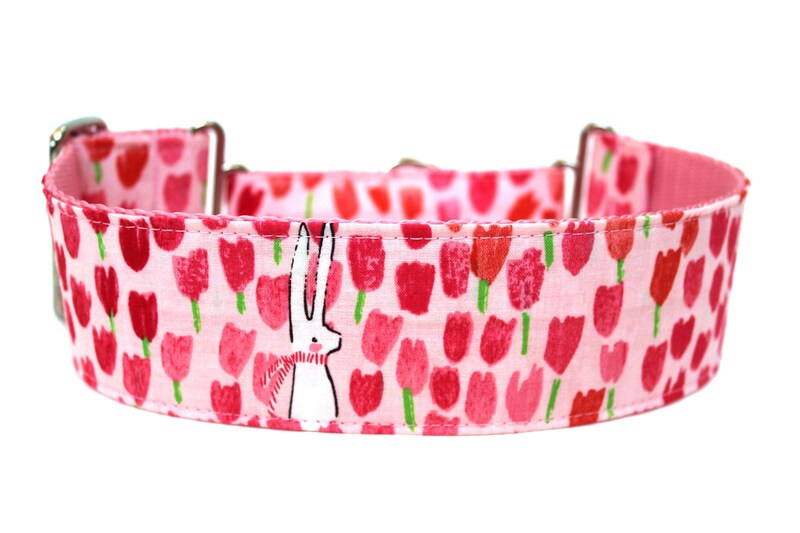 Adorable and sweet spring tulip 2" martingale dog collar! This spring martingale dog collar is made with 2" pink nylon webbing and matching 1" nylon webbing, silver hardware, and a pink design with a little bunny and sweet hot pink, light pink, and orange tulips all over! This martingale collar is perfect for Easter and spring! Beautiful Spring collar. Excellent quality!! Love it! !